Basal area is a measurement used to express the area occupied by trees in a forest stand, and is a good indicator of tree density and the amount of sunlight available to desired forbs and grasses on the ground. So, what is it and why does it matter, you may ask? 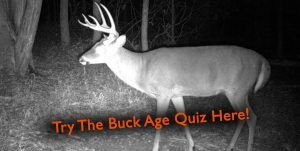 Here is a quick guide to the idea behind measuring basal area and the reasons we, as wildlife habitat managers, need to know about this important form of measurement. 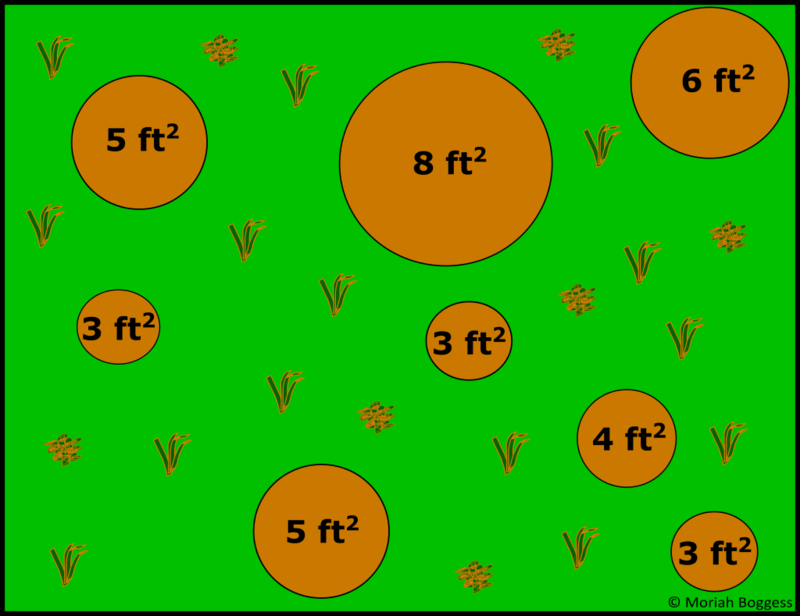 Basal area is a measurement of the square footage of the cross-sectioned trees at breast height within an acre of forest, and is represented in ft2/acre. Since that probably still sounds like gibberish, I will break it down further with an illustration. Imagine you are in a helicopter looking down at the top of all the trees in a given acre of forest (see diagram below). Now imagine that all of the tree tops are removed at 4.5 feet above the ground, AKA breast height (the standard height for tree diameter measurements). Now, if you were to calculate the square feet of the tops of these tree stumps and sum them together you would get the basal area of the stand. Basal Area Diagram: According to this diagram we have 8 trees in this one acre stand (realize that this is not to scale). When we add all 8 areas of the tree stumps we find that the we get 47 ft2/acre. This is the basal area of the stand. Basal area measurements are how managers most effectively communicate the condition of a forest to one another, and are especially important when setting timber harvest goals. Reducing the basal area allows sunlight to reach the ground to promote forbs, grasses, and shrubs for cover and food. Setting target basal areas of stands allows managers to set habitat quality objectives and attain them through timber harvest. For instance, as a general rule, a target basal area for quail management within pine stands is anything from 40 ft2/acre and lower, while deer and turkey forage and cover is promoted by basal areas of 80 ft2/acre and lower. To put this in perspective, most closed-canopy pine plantations are around 120 ft2/acre or more, which leads to very little light reaching the forest floor and a lack of ground cover. While these are very rough figures that will vary greatly based on species composition and the number of trees per acre, they provide the simplest way to translate our wildlife objectives (such as increasing the amount of deer forage in a stand) to foresters prior to timber harvest. See why it’s important now?